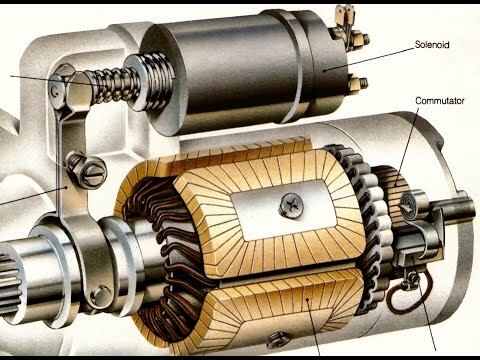 If we are to consider any component as a car’s heart, the first thing that will come to mind will be the starter motor. It starts the engine, and if the starter motor fails, you will have a hard time even to take your car to a garage. Fortunately, they give out some clear indications when they start to malfunction. Now we, the people at Easington Service Station, don’t want you to get stuck in the middle of nowhere because of a faulty starter motor. So today, we will discuss the symptoms of a starter motor malfunction and how to make sure it does not affect your daily life. Starter motor sits deep under layers of cables and engine components in the bonnet. One of the best ways to detect any issue with the unit is to listen for an odd noise. Let’s decipher the meaning of various sounds of a malfunctioning starter motor. Lousy wiring – The wiring might have come loose, or got disconnected. It is somewhat of a common issue, and we repair many cars with faulty wirings every week. Defective Solenoid – Unfortunately, one of the most critical parts of the starter motor, solenoids, can go wrong pretty easily. If this happens, you will have to change the entire starter motor. Give our mechanics a call; Easington Service Station employees will be more than happy to do a starter motor replacement in Easington for you. If it is making a whirring noise – Another common issue, the motor refuses to start and keeps making a whirring noise when you turn the ignition key. It happens when the pinion gears do not engage with the flywheel. It is considered a major malfunction and requires a thorough inspection and possible overhaul of the entire unit. There can be different variations of the sounds mentioned above; however, if your car refuses to start on a single attempt, you should drop by at Easington Service Station. The vehicle’s starter motor might need a replacement if it’s not turning fast enough, or any of its parts have jammed. We offer both repair and starter motor replacement in Easington. Don’t let your malfunctioning car sit; let us repair it for you right away. Bring it to us anytime between Monday to Friday, 8:30 AM to 5 PM, and between 8:30 AM to 12 PM on Saturdays. We are always here to help you.